Large dishwashers with cantilever bench made from AISI 304 stainless steel with Scotch Brite finish. 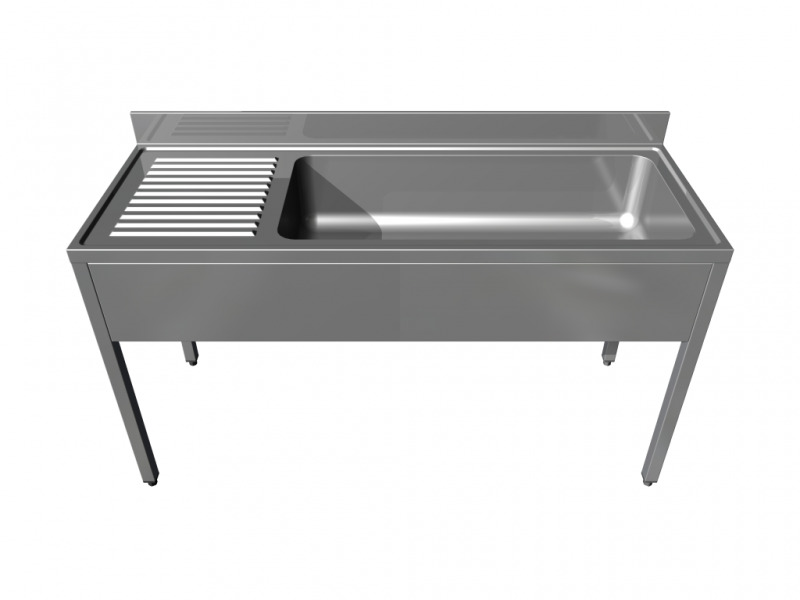 he washbasins can be supported with panels and cuvettes of rectangular stainless steel AISI 304, 40x40x1,5 mm, or neutral, closed on three sides. In both versions the legs are adjustable to height +50 mm.